London, 1777, 81, 88. VOL. 1 THIRD EDITION VOL. 2-6 FIRST EDITIONS. 6 vols., 11-1/2" x 9-1/4", illustrated with 3 maps (2 folding) and the engraved frontis portrait of Gibbon in vol. 1, with all the half titles and errata leaves, complete. 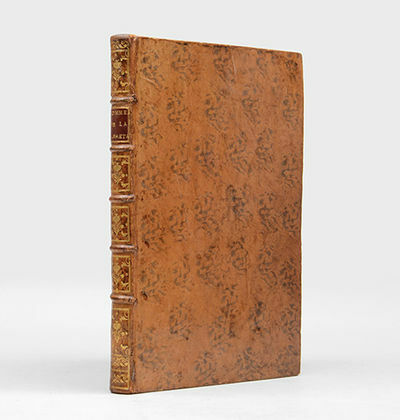 Bound in contemporary full speckled calf, covers ruled in gilt, neat early rebacking retaining the original spine labels, gilt decorated spines, internally clean and bright, a VERY GOOD set. Philosophische Versuche über die menschliche Natur und ihre Entwickelung (Philosophical Essays on Human Nature and Its Development). presso Giammichele Briolo 1777 - 1779 8vo (cm. 19,2), 4 Voll. ; XVI - 357(1), XV - (1)348, XVI - 411(1), XV - (1)564 pp. Legature coeve in piena pelle con fili e titoli in oro su tassello al ds. Tagli rossi. Piccola mancanza al piatto anteriore del quarto vol. Carte leggermente ingiallite. Ottimo esemplare. Opera rara. Kortensche Buchhandlung Flensburg und Leipzig - Geb., 8°, best. und ber., dennoch altersgemäß guter Zustand, Seiten einwandfreiSeiten: 381Jahr: 1777 470 gr. Historisch - kritische Nachrichten von Italien, welche eine Beschreibung dieses Landes (,) der Sitten, Regierungsform, Handlung, des Zustandes der Wissenschaften und insonderheit der Werke der Kunst enthalten. Systême complet d'éducation publique, physique et morale, pour l'un & l'autre Sexe, & pour les diverses conditions. Exécuté dans les différens Etablissemens ordonnés par Sa Majesté Impériale Catherine II, pour l'éducation de la jeunesse, & de l'utilité de son Empire. de l'Imprimerie de la Société Typographique, A Neuchatel 1777 - 2 parties en 1 vol. in-8 de (2)-286 pp. ; (2)-330 pp., demi-basane havane à petits coins, dos à nerfs, pièce de titre en maroquin rouge (reliure de l'époque). Deuxième édition française des Plans et statuts des différens établissemens donnée par Clerc, publiés pour la première fois à Amsterdam, chez Marc-Michel Rey en 1775. Le tome premier contient essentiellement le projet de création d'un hôpital des enfants-trouvés à Moscou. Le tome second contient un programme d'éducation pour les garçons et pour les filles. L'ensemble des articles a été rédigé par Betzky. Frontispice allégorique gravé par Demeuse. London: Willm. Napier [PN 67], 1777. First Edition. Rather scarce. OCLC nos. 931915401,16457555. BUC p. 933. RISM S2216. 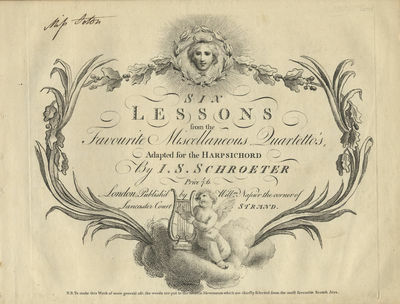 The "favourite Scotch Airs" to which Schroeter refers were perhaps adapted from his collection of 12 Favorite Scotch Songs for voice, harpsichord, and German flute or violin, which, according to RISM S2214, was also published by Napier (No. 67), ca. 1777. Schroeter';s importance lies, Burney wrote, in his being ?the first who brought into England the true art of treating [the piano]'; (Rees';s Cyclopaedia). His playing was not without bravura, and he astounded audiences by the graceful ease with which he performed rapid passage-work. Indeed the impression he made owed much to the delivery: ?His touch was extremely light and graceful so that just to watch him play became a pleasure in itself'; (Musikalisches Wochenblatt). His compositions helped to popularize in England a natural ?singing-allegro'; style and his concertos opp.3 and 5, which were among the earliest in England designed specifically for the piano, enjoyed particular success and influence. (Mozart was sufficiently impressed with op.3 to write cadenzas for three concertos.)" Ronald R. Kidd in Grove Music Online.. Oblong folio. Disbound. 1f. (fine decorative engraved title),  (blank), 2-45, [i] (blank) pp. Engraved. Scored for flute or violin and harpsichord. Middle movements of each lesson with the first verse underlaid below flute part, and subsequent verses printed below music. With "N.B. To make this Work of more general use, the words are put to the middle Movements which are chiefly selected from the most favourite Scotch Airs" printed to lower margin of title. Early signature of "Miss Acton" in black ink to upper margin of title. Slightly worn; occasional light foxing and soiling; some very light dampstaining and worming to lower portions of pp. 21-27 and 35-45 respectively. Together with early manuscript verses from one of the collection's Scotch airs, "De'el tak the War" (a.k.a. "Deil tak' the wars") laid in. Octavo. 1 p. In black ink. With titling ("The Wars") to upper margin. Text in English, with significant variation from published versions, particularly in the second verse ("But my brave, my dearest Willy goes through every danger... Oh! Had he been to the Wars a stranger, from my arms he ne'er had gone"). BREVIARIUM VASATENSE ILLUSTRISSIMI ET REVERENDISSIMI IN CHRISTO PATRIS D.D. JOANNIS BAPTISTAE AMEDAEI DE GREGOIRE DE SAINT SAUVEUR EPISCOPI ET DOMINI VASATENSIS - EN 4 TOMES - PARS HYEMALIS + PARS AUTUMNALIS + PARS VERNA + PARS AESTIVA. Historisch-kritische Nachrichten von Italien, welche eine Beschreibung dieses Landes (,) der Sitten, Regierungsform, Handlung, des Zustandes der Wissenschaften und insonderheit der Werke der Kunst enthalten. Leipzig, Fritsch 1777 - 1778.. Zweyte und vermehrte und durchgehend verbesserte Auflage. Mit gest. Frontisp. v. Geyser und 3 gest. Titelvignetten. XXXVI, 808; VIII, 943 S.; 4 Bll., 920 (falsch 922) S., 28 Bll. LederbÃ¤nde d. Zt. mit reicher RÃ¼ckenvergoldung, Stehkantenverg. und Deckelfileten. 20 x 13 cm. 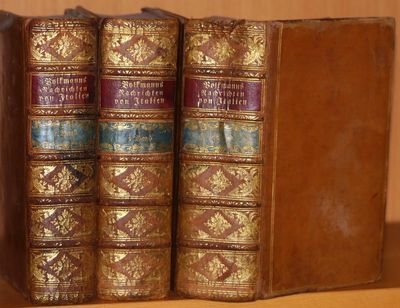 Engelmann 600; Kippenberg 1642; Schlosser 473f. u. 494; Tresoldi 44, Anm. ; vgl. Schudt S. 173: "das fÃ¼r uns Deutsche lange Zeit unentbehrliche Handbuch Volkmanns"; nicht bei Fossati Bellani. - Zweite Ausgabe des umfangreichen und detaillierten ReisefÃ¼hrers, dessen Erstausgabe (1770-71) schon Goethe begleitet hatte: "Ich lese jetzt des guten trockenen Volkmanns 2. Theyl, um mir zu notieren, was ich noch nicht gesehen habe." Schlosser nennt das Werk "ein rÃ¼hmliches Zeugnis deutschen FleiÃŸes... Im ganzen ist wohl nicht zuviel gesagt, daÃŸ keine andere Nation einen derart grÃ¼ndlichen Reisemarschall aus alter Zeit aufzuweisen hat." - Decken tls. etwas fleckig. Oberes RÃ¼ckenende von Bd. 3 mit kurzem Einriss. Titel an den RÃ¤ndern gebrÃ¤unt. Insgesamt sehr gutes und dekorativ gebundenes Exemplar! Philadelphia: R. Aitken, 1777. First edition. 8vo. (Short marginal tear on Qq2 just touching text.) Original boards, UNCUT (portions of backstrip lacking, some pale staining); quarter blue morocco slipcase. FIRST COLLECTED EDITION. The Journals were issued by the government's printers Robert Aitken, John Patterson, John Dunlap and David Claypoole and document the early history of the American republic, minutely recording its progression from an array of disparate and disgruntled colonies to armed resistence and outright rebellion, Independence, confederation, and eventually, unification under a remarkable Federal Constitution. The journals records the daily business of the Congress, and contain the most vital documents from the Revolutionary period through the end of the Confederacy, and culminates with the tumultuous adoption of the Federal Constitution in 1788. 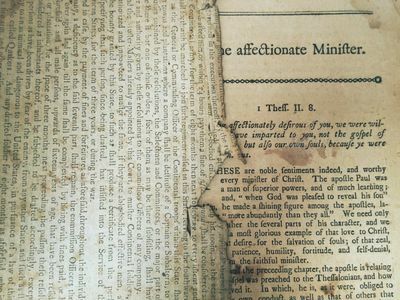 The bibliographical and textual importance of books preserved in original, unsophisticated state needs no elaboration, especially as some of the edition sizes were quite small (as few as 500 copies). The resolution of 13 September 1786, which was printed in volume 11, directs "That the Secretary of Congress take order for having printed and bound in the usual manner [boards?] 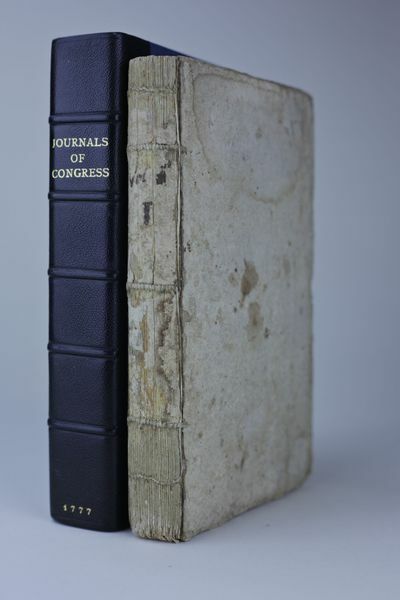 five hundred volumes of the journals of Congress for each of the years 1777, 1778, 1780 and 1781 1782." The 12-page Index is not present at end of this copy--clearly issued without it at the time of publication. Soon after the Declaration of Independence, Congress recognized the necessity of publishing and disseminating its proceedings on a timely basis. 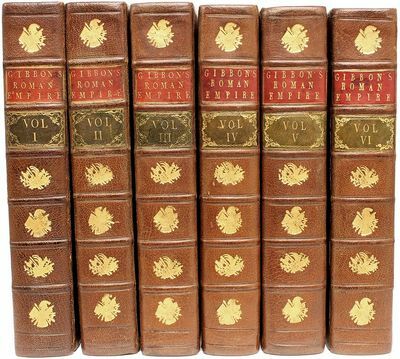 These volumes appeared in more or less annual volumes, but in variable formats and from three different printers: Robert Aitken, John Dunlap, and David Claypoole. A tradition had already been established by the separate publication of the Journals from the First and Second Continental Congress in 1774 and 1775. This, the first volume in the series, began after the Declaration of Independence, reprinted those journals, and was issued concurrently with the second volume, both appearing from the press of Robert Aitken in 1777 (that volume includes the full text of the Declaration of Independence, and the names of the Signers, pp. 241-246). Evans 15683. RARE IN THIS FINE, UNSOPHISTICATED AND ORIGINAL CONDITION. Icones Plantarum sponte nascentium in regnis Daniae et Norvegiae, in ducatibus Slesvici et Holsatiae, et in comitatibus Oldenburgi et Delmenhorstiae: Ad illustrandum opus de iisdem Plantis, Regio jussu exarandum, Florae Danicae. Tristram Schandis Leben und Meynungen. Vierter, fünfter und sechster Theil in einem Band. SAVIGNY, Marie Jules-César Lelorgue de. Histoire naturelle et mythologique de l'Ibis.Paris, Allais (back of half-title: Imprimerie de H.L. Perronneau), 1805. 8vo. With 6 engraved plates, including 4 hand-coloured (2 folding) by Bouquet after Redouté and Barraband. 19th-century dark red half sheepskin. Nissen, IVB 819; Ronsil 2718; Wood, p. 552. First and only edition of a natural and mythological history of the ibis by Marie Jules-César Lelorgue de Savigny (1777-1851). It contains six engravings after drawings by two major natural history illustrators: Pierre-Joseph Redouté (1759-1840) and Jacques Barraband (1768-1809), of which four are hand-coloured. The book gives an account of the black and the white ibis, their mythical position in ancient Egypt and the related cults, their natural habitat and answers the question whether they eat snakes or not. The engravings show the black and the white ibis, close-ups from the beak and leg and some Egyptian illustrations. Barraband is well known for his beautiful ornithological illustrations for Levaillant's works on parrots and birds of paradise. "A learned essay on the Ibis, with observations made during the author's sojourn in Egypt. A rare book ..." (Wood). 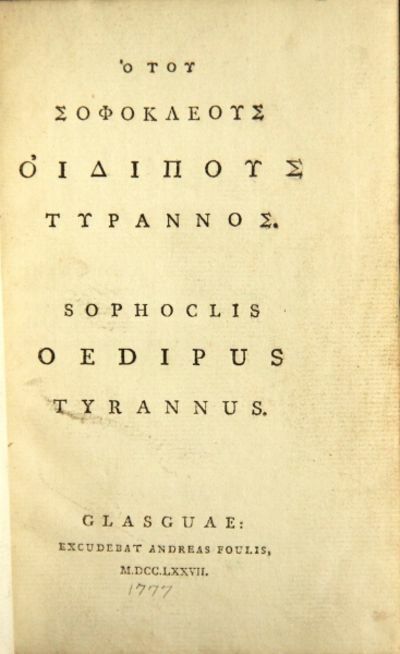 With a faint and somewhat blotted library stamp on half-title, title-page somewhat soiled, a few occasional small smudges, and plates shaved with slight loss of plate-numbers. Otherwise in good condition. Italia AUGUSTINIANA, anno 1760, Lotter T.C. Reise von Gibraltar nach Malaga im Jahr 1772. Leipzig, Sigfried Lebrecht Crusius, 1779. 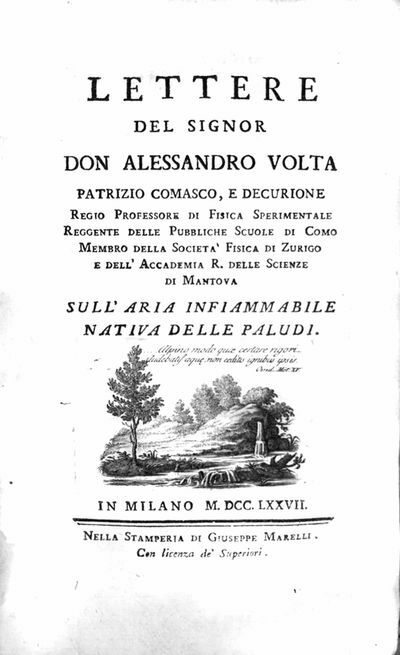 Onorato Derossi 1777 4to (cm. 25,7), 2 Voll., XL - 286 pp., 1 c.nn. ; XVI - 323 pp. Num.si stemmi e capilettera fig. n.t. Legature â? ?900 in mz. pelle con nervi, fregi e titolo oro su doppio tassello nero al ds.Poche macchie marginali altrimenti esemplare in eccellente stato di conservazione. Ristampa della prima edizione di Cuneo (1655 - 1657). Spreti(965) cita questâ??edizione. Hamlet, Prinz von Dännemark. Ein Trauerspiel in 6 Aufzügen. Zum Behuf des Hamburgischen Theaters. Auserlesene mikroskopische Entdeckungen bey den Pflanzen, Blumen und Blüthen, Insekten und andern Merkwürdigkeiten. 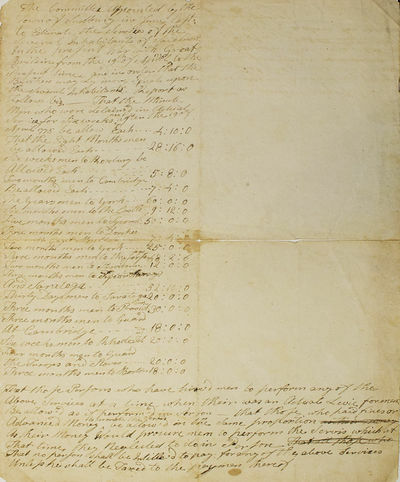 Manuscript document from a "Committee" of Sudbury, Mass., appointed to estmate the "services of the several inhabitants [of Sudbury] â€¦ in the present war with Great Britain from the 19th April, 1775 [Battle of Concord], to the present time"
[Sudbury, Mass. ], 1777. One page, folio. With three smaller related pieces, one dated March 1777. Folio (39.3 x 31 cm.). Old folds, central horizontal fold splitting, some foxing. One page, folio. With three smaller related pieces, one dated March 1777. Folio (39.3 x 31 cm.). Paying the Minute Men of Sudbury. A calculation of the services of the Sudbury militia who contributed greatly to the defense of the surrounding communities, begining with the Battle after Lexington & Concord, on, 19 April, 1775. The estimates are divided by communties served, and the length of service "in order that the burthen may be more equal among he several inhabitantsâ€¦" The fnal paragraphe gives guidelines for the compensation of those who have"'hired men to perform any of the above services at a time when there was an actual levy for menâ€¦". Flora Londiniensis: or plates and descriptions of such plants as grow wild in the environs of London: with their places of growth and times of flowering. 6 Tle. in 2 Bdn. Mit gest. Titelvignette und 383 kolor. Kupfertafeln (st. 432). Venezia, 1777 - Coppia di incisioni in rame di mm 325x415, colorate a mano d'epoca, tratte da "Atlante novissimo". Buono stato di conservazione con restauro integrativo all'angolo inferiore destro. Qualche leggera traccia di umidità. Bayrische Seen zw. Inn und Lech, 1760, Lotter T.C. Glasguae: excudebat Andreas Foulis. 1777. "8vo, pp. , 127, ; contemporary brown calf, gilt-decorated rules, gilt-decorated spine in 6 compartments, red morocco label (chipped) in 1; joints tender, boards toned and rubbed, heavily annotated throughout in a student's contemporary hand, with a few later additions in pencil, good overall. Religiöse Szene: Ein Mann, begleitet von Soldaten, kniet vor Jesus uns seinen Jüngern nieder. Radierung in Punktiermanier. 1777 - In der Platte bezeichnet "Dessiné par le Gràphometre universel. Gravé par J.Punt 1777." Mit breiterem Rand um die Plattenkante. Auf festem Bütten mit Wasserzeichen. Die religiöse Szene im Stil Veronese ist von einem mit Pflanzenornament verzierten Rahmen eingerahmt (gestochener Rahmen). Aus einem französischen Werk mit "Planchè X" bezeichnet. - Rand etwas unregelmäßig geschnitten. Vorwiegend im Randbereich etgwas stärker gebräunt und teils braunfleckig. Ein größerer Braunfleck oben rechts in der Darstellung. Sprache: Deutsch Gewicht in Gramm: 2100 22,5 x 33,1 cm. Papier: 29,5 x 41. LETTERE SULLÂ’ARIA INFIAMMABILE NATIVA DELLE PALUDI. gouges, spine rubbed and worn, label frayed. on front blank, otherwise very bright and clean. second edition in French, in 12mo, was published in Paris : Barrois l'aÃ®nÃ©, 1785. Provenence : Edmund Coleru author of .Au pays de l'absinthe. MontbeÄ›liard Impr. Book on Military Science, including the construction of fortifications, attack and defence of fortresses and harbours; together with a description of the most prominent attacks; with an engineering dictionary]. [Second title:] ????? ??????? ?????? ?, ?? ???? ?????? ? ???????? ? ?????????? ????????? ? ?????????? ????: ? ????????? ?????? ?? ??????????? ?????? ?, ? ? ?????? ?????????? ?????? ?????? ?????? ? ???????????????? ????? ? ???????????, ? ??????? ? ??????? ?????? ????????? ? ??????? ?????? Paris: De l'Imprimerie Royale,, 1777. Depuis l'annÃ©e 1697 jusqu'Ã la fin de l'annÃ©e 1773. Folio (365 x 238 mm). 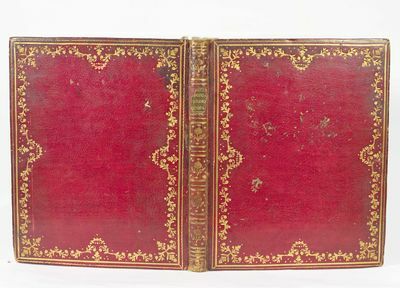 Contemporary full catspaw calf, spine richly decorated gilt in compartments, red morocco label, marbled endpapers and edges. Large folding table at the end. Engraved Dampierre bookplate of the Ducs de Luynes to front pastedown. Slight worm damage to foot of the front joint, rear joint neatly repaired at foot. A crisp, clean copy in excellent condition. First edition in French, translated from the English edition of the previous year, originally titled State of the trade of Great Britain in its imports and exports, progressively from the year 1697: also of the Trade to each particular Country, during the above Period, distinguishing each Year. In two parts. With a preface and introduction, Setting forth the Articles whereof each Trade consists. The compiler of this important compendium of British public expenditure, Charles Whitworth (c.1721-78), was, from 1768, chairman of the Commons committee of ways and means.